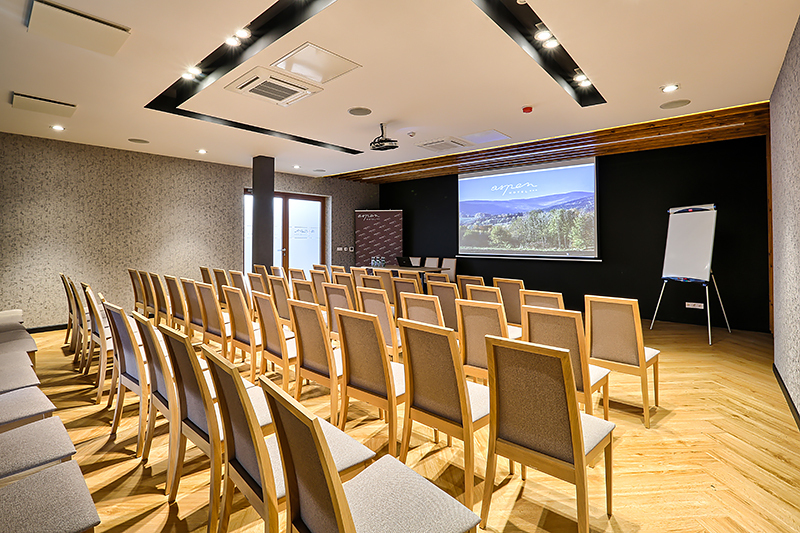 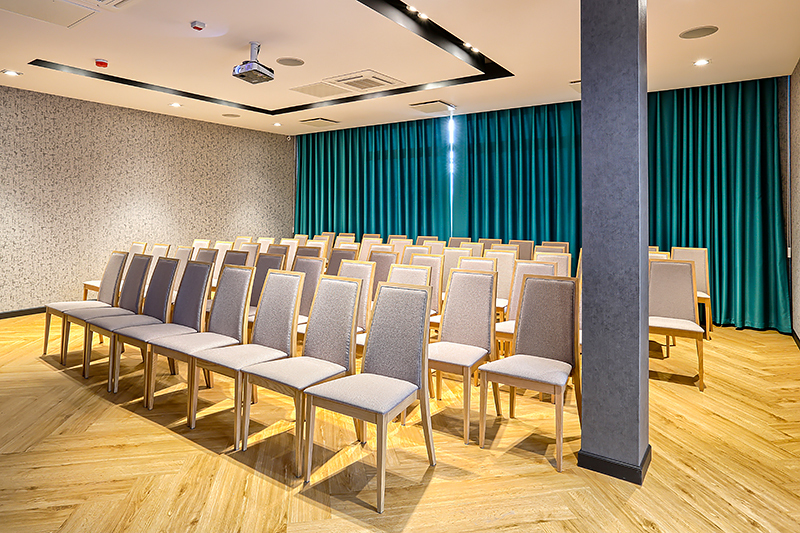 We provide a professionally equipped conference room at the disposal of Guests who arrange conferences, training courses, shows or other business meetings. 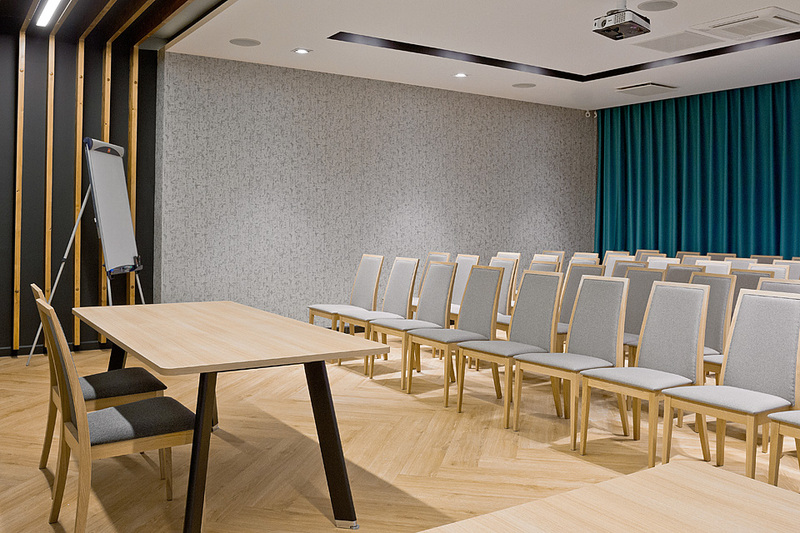 Our conference room is spacious, with lots of daylight to make it comfortable for conference participants. 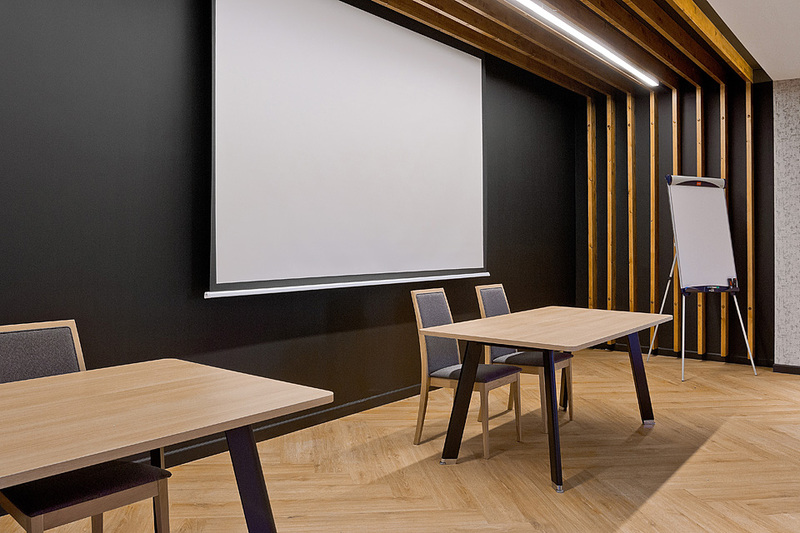 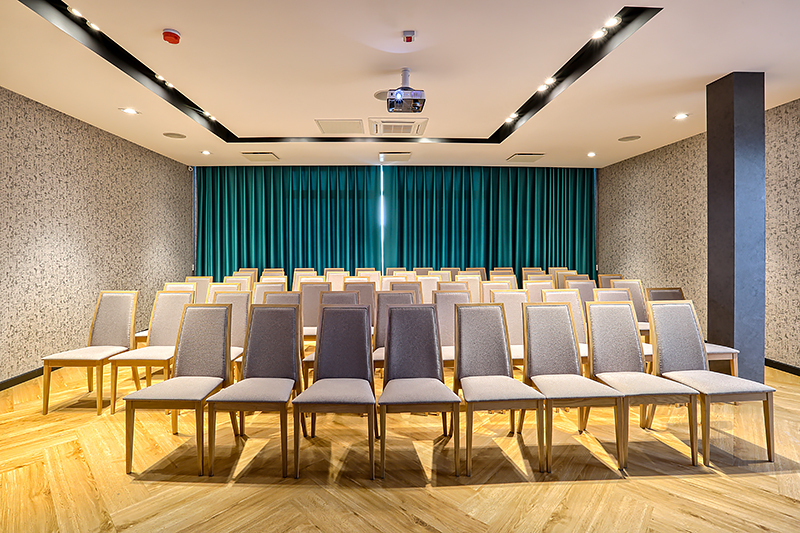 The room is equipped with the following: air-conditioning, a multimedia projector, an electrically controlled screen, a flipchart/magnetic board, a general loudspeaker system and wireless microphones, a DVD/CD player, an Internet connection - WLAN/Wi-Fi.